Team17 and Pathea Games have announced that My Time At Portia will release on Nintendo Switch in Spring 2019. The sandbox simulation RPG, which began as a successfully funded Kickstarter project, has art direction that has drawn inspiration from Studio Ghibli’s Castle in the Sky and Nausicaä of the Valley of the Wind. 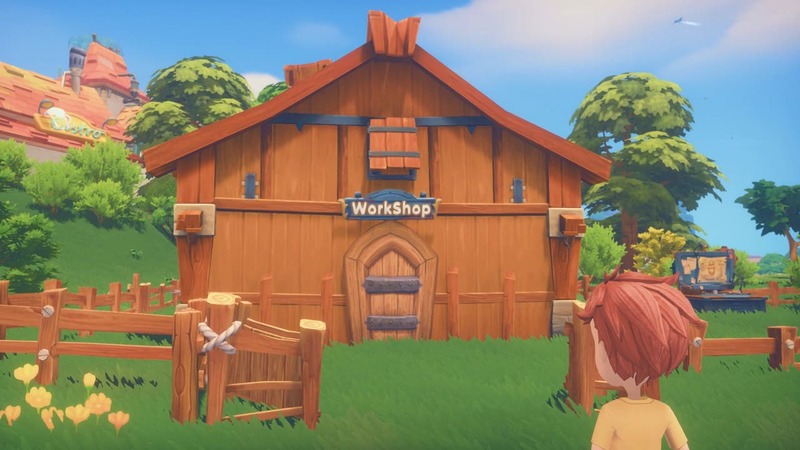 After arriving in Portia, you have the chance to start a new life as you work hard to restore your Pa’s neglected workshop. With his handbook and workbench, you must gather, mine and craft your way to become the best workshop in the land. Aside from crafting and building, you will have the chance to build relationships, fall in love, and get married, between exploring the ruins that litter your surroundings. My Time At Portia will release on the Nintendo eShop for Nintendo Switch in Spring 2019.